The sturdy aluminum shell of a MacBook Pro is hard to dent but easy to scratch. And they don’t do well with being dropped, either, speaking from experience. 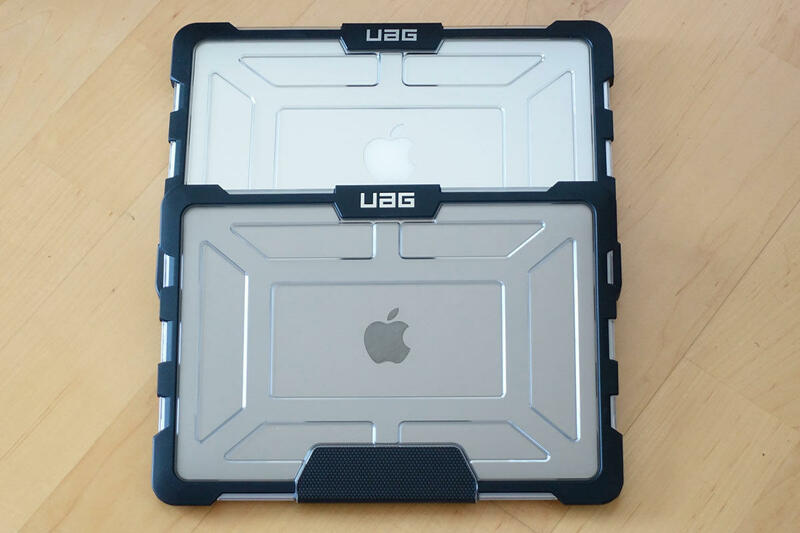 If you’re a klutz or haul your laptop into situations where it’s liable to get dinged up, investing in a case like Urban Armor Gear’s Rugged Case wouldn’t be the worst way to spend your money. I recently had the opportunity to take iterations of the case for the third generation 13-inch MacBook Pro with Retina Display (available on Amazon) and the fourth generation 13-inch MacBook Pro with or without Touch Bar (available on Amazon) for a spin. Twins! Which one gets to be Danny DeVito is up to you. Unlike padded sleeves or backpacks designed to cushion your laptop from casual abuse as you move through your day, the Rugged case is designed to permanently clip on to the bottom panel and lid of your MacBook Pro. The case is made predominately out of clear or grey-tinted polycarbonate. That the case is transparent allows you to keep on enjoying your MacBook’s industrial design. But it also allows you to, in the right light, see all of the scuffs and scratches that the case will collect over time, as well as any dust, hair or other debris that manages to get sandwiched between the case and the laptop. The case provides plenty of ventilation to help keep your laptop purring along. While you can remove the case, it’s not easy. I found that the Rugged Case clamped on to my Macs so securely that I was afraid I would break my computer before I would manage to remove it. This, I promise, isn’t a fault—it’s a feature. The case’s death grip on your laptop will keep it from flying off if you happen to drop it. The two halves of the case are joined together by a strip of textured rubber, which makes the case’s otherwise slick polycarbonate exterior easy to grip. There’s cutouts for the MacBook Pro’s ports and, in the bottom half of the case, venting to keep the laptop inside of it from overheating. 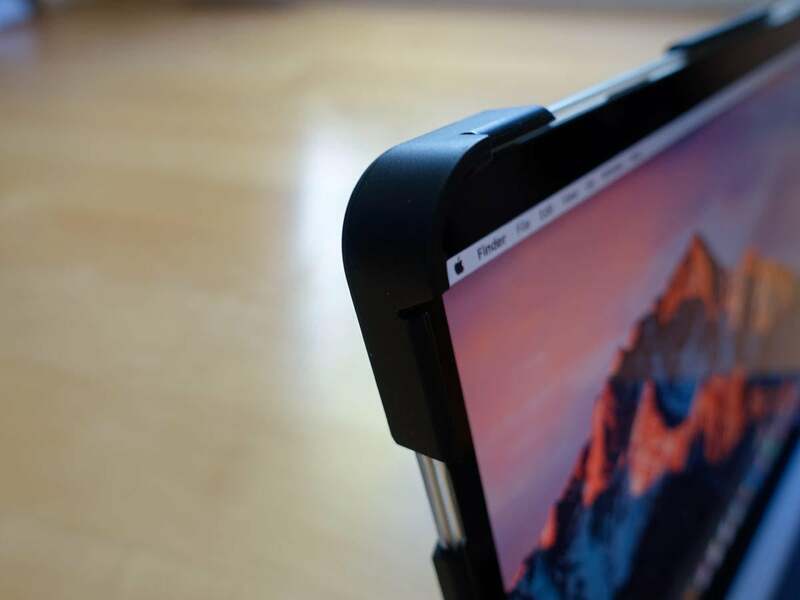 Thick rubber bumpers help protect your MacBook from damage. To boost your MacBook Pro’s survivability in the face of dumb accidents, the edge of the top half of the case is surrounded with a thick layer of rubbery impact-absorbing material. Close your laptop and this protective layer will snap over the bottom of the Rugged Case. Once sealed up, the case clamps together in such away that it won’t accidentally open when dropped, meeting military drop-test standards (MIL STD 810G 516.6). With the exception of sealing your MacBook Pro case up inside of a fireproof safe, you’ll be hard pressed to find better off-the-shelf protection for your laptop. There were a couple of things that bothered me while I tested these cases. First, that rubbery bumper that keeps the MacBook from popping open when dropped? It also makes opening the laptop up when you want to difficult. I found that I had to push on bumpers along the lid, instead of simply flipping my laptop open, in order to use my computer. If you’re using your laptop in a hostile environment, this is a small price to pay for the survivability of your fancy MacBook Pro. If you’re just using the case to protect your laptop on your morning commute, you’ll likely find that it issue gets old, fast. Then there’s the weight. The Rugged Case doesn’t even try to be light. The third- and fourth-generation cases weigh 11.9 and 11.4 ounces, respectively. Add that to the heft of a laptop and ask yourself, “Is my computer in enough peril that I want to lug that around with me everywhere?” For many people, the answer to this question is likely, no. 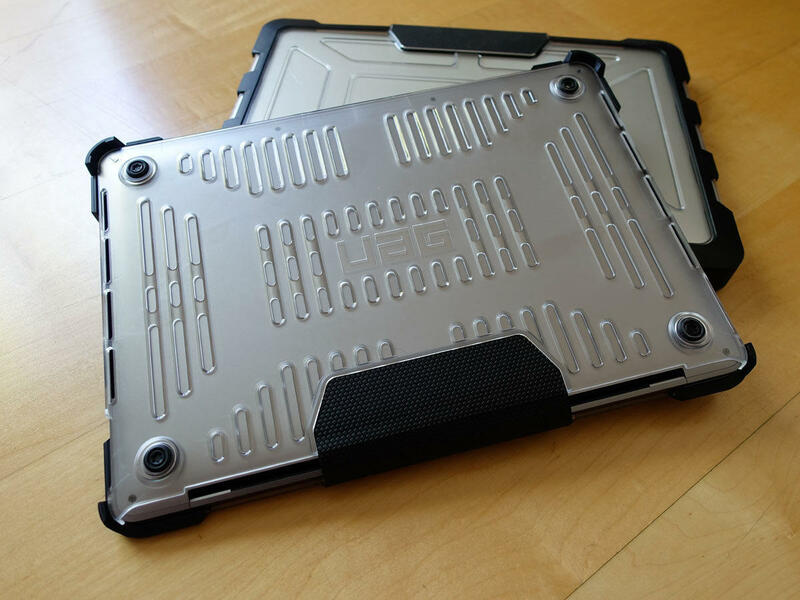 If, however, your misadventures kill laptops, don’t hesitate, grab a UAG Rugged Case immediately. 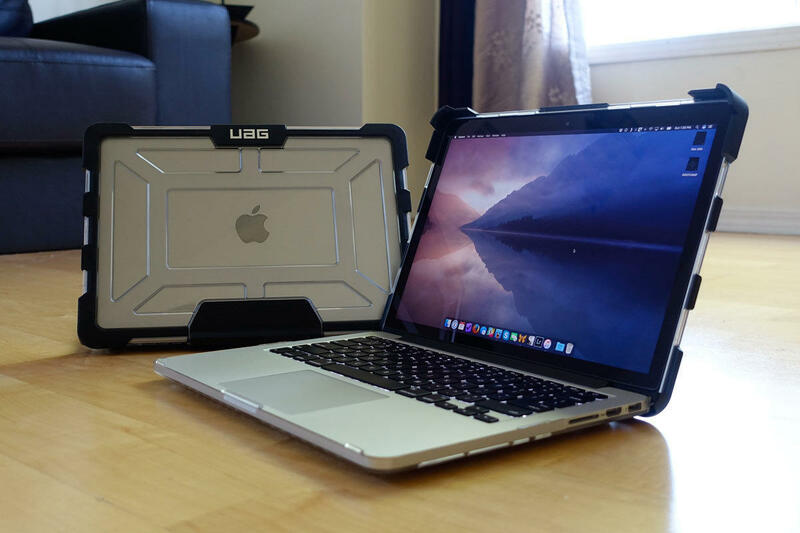 Heavy, difficult to open and even more difficult to remove from your laptop, the Urban Armor Gear Rugged Case for the third- and fourth-generation MacBook Pro won’t be everyone’s cup of tea. But for clumsy laptop users or those who routinely take their laptops into harm’s way, it could well be a necessity.